Top quality: great design at a great price! 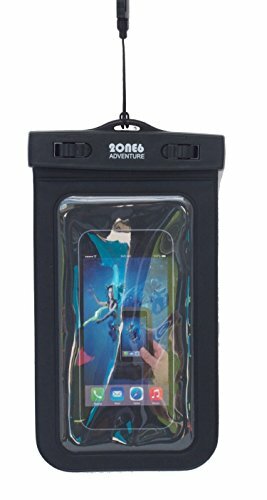 2one6 adventure water proof phone bag is both tough and stylish. this phone case provides you both convenience and style in one. – you can feel free to take photos in the water, under the water, in the snow or wherever and whenever you want to. – It fits almost all the phones on the market. The maximum size is up to 6 inches. It is so spacious that you can put other valuables in this water proof bag besides your lovely phone. – Adjustable neck string and arm band allow you to wear your phone bag however you like. Add this awesome phone bag to your cart now and start to plan your summer fun today. Soon to be the world's leading website for planning a vacation to a national park!